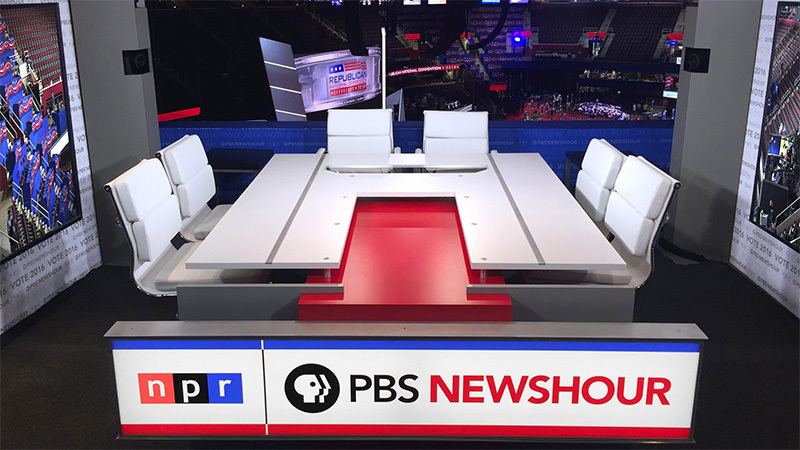 PBS NewsHour has partnered with NPR for this years conventions in Cleveland and Philadelphia, combining the power and resources of the two public media operations. For the coverage, PBS and NPR are sharing a skybox with a new set design from Eric Siegel and George Allison. The desk has been crafted to accommodate up to six people who will anchor and provide analysis during the conventions, with a mix of manned and robotic cameras providing coverage of the booth.